Getting a flat tyre can be a scary experience - not to mention a huge inconvenience. Here's our advice for what to do if it happens to you. Some drivers, especially those who have just passed their driving test, may not know what to do when their car gets a flat tyre, so we’ve rounded up some tips and advice to keep you safe in the unfortunate event that it happens. Which? conducted a survey in 2013 which found that fewer and fewer spare wheels are being made available as standard on new cars. Confused.com reported that the survey analysed the specifications of over 8,700 mainstream car models, and found that just 29.5% came with a full-size or space-saver wheel as standard. Half came with a tyre repair kit. The AA say that many new cars have a puncture repair kit instead of a spare wheel nowadays, in order to save space and weight. Also, instead of cars having a spare tyre nowadays new models may have run-flat tyres fitted as standard. The Royal Society for the Prevention of Accidents (RoSPA) say that run flat tyres work in two different ways – through reinforced sidewalls or internal ring support. However, the general idea is that run flat tyres are able to support the weight of the car by themselves for short periods of time. 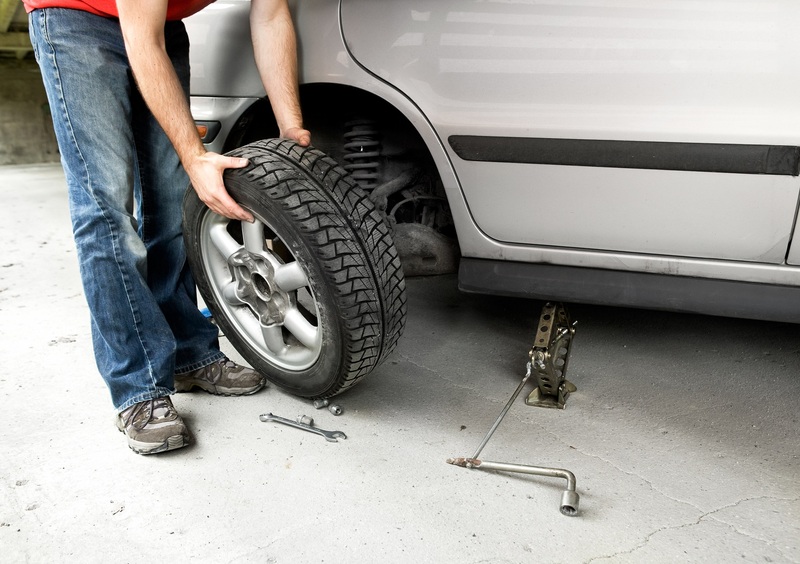 If you do have run flat tyres and you get a puncture, RoSPA advise that you do not travel long distances or at high speeds, and make sure that you get them replaced as soon as possible. According to the AA, there are some safety precautions to consider if you get a flat tyre. They advise that you don’t try to change a tyre on the hard shoulder of a motorway or at the side of the road, as this can be dangerous. Instead, it’s best to turn off or pull well away from traffic and call for help, rather than putting yourself at risk. If you do know how to change a flat tyre, and you’re in a safe position to do so, then the AA advise that you make sure that all passengers are well away from the vehicle and carriageway and in a safe position before you start. Make sure that you don’t use a car jack anywhere other than the specified jacking points, as attaching it in the wrong place can cause damage or increase the risk of collapse. Green Flag suggest wearing a high visibility vest and placing a reflective hazard warning triangle a good distance behind your car, in order to alert oncoming traffic. Then make sure that you know where the spare wheel, jack, wheel brace and locking wheel nut key are before you start. Chris Burgess from the RAC told Confused.com that “changing a wheel can be a complicated business. In theory it’s simple, but in practice it can be more challenging.” That’s why it’s always a good idea to consult a professional and call a breakdown service if you’re unsure, or if you get a flat tyre in a dangerous place, such as on a motorway or on a bend.